QC Wellness Fun Run | To Be, To Be. Tutubi. 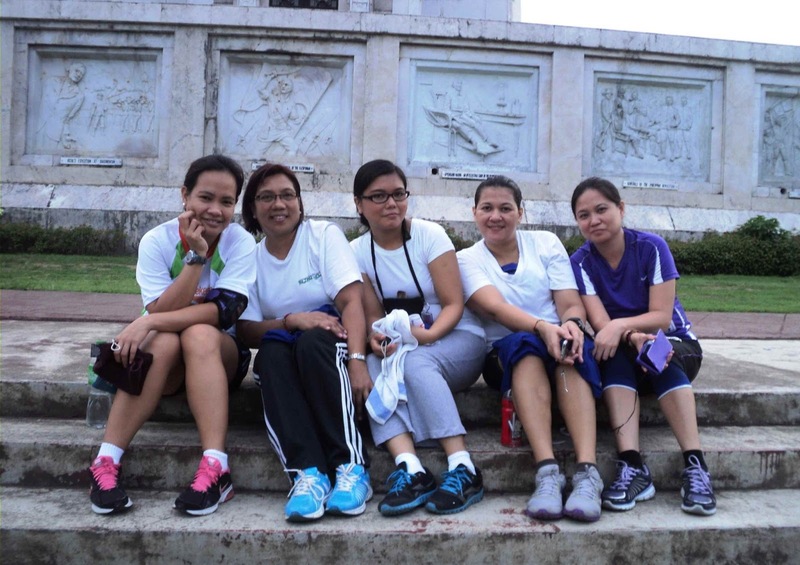 Last Sunday, my friends and I were at QC Memorial Circle for our 'puchu puchung fun run.' Oh well, it was the QC Wellness Fun Run that we opted to buy at the last minute because it was cheap. And look what we got! I registered online, and my friends bought from Chris Sports. Then we were given a claim stub to get the bib. It says 4am at the ticket, but the booth (or table) was there only at 530am. There were less than 50 runners! The starting line. 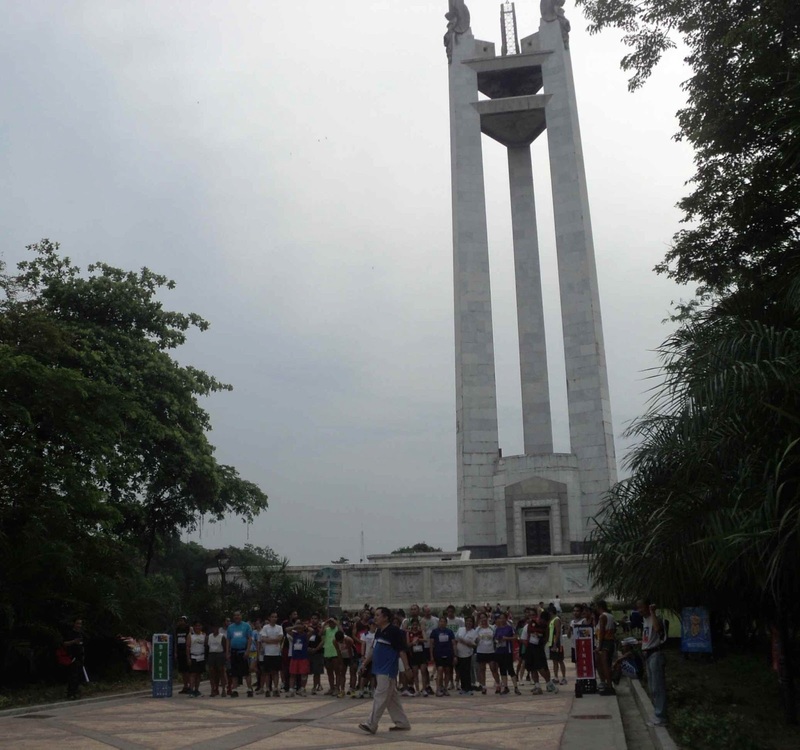 The organizer was holding a mic and he announced that it was time to run, both for 10K and 6K runners. For 6K runners like us, we had to circle the Circle 3x. There were no marshalls from Blue Concept, just policeman along the way. And there were bikers who were also doing laps on the circle and you can feel them swooshing by! We had to run at the inner lane as far away from the bikers as we can. The guy in blue below is the organizer. And that below were all the runners. But it was a fun run, and we just had fun anyway. My finisher shirt and medal. I think I finished 3rd in the 6K category. I can't be too sure because there was no timing chip in the bib or anything that would tell us the time. There was just this guy who asked for my name when I went up to the this table at the finish line where I got my sandwich and water. The finisher shirt was given when we got our bib earlier before the run. 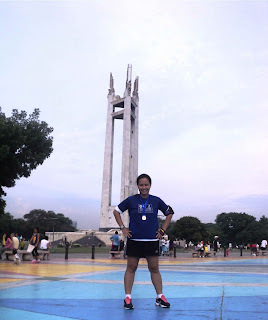 The run was okay, though the organizers were not quite as prepared and organized. We were hoping they will just give the extra sunglasses to the top 6K finishers because there were only 4 girls who ran in the 10K but they didnt. Oh well. Me and my kids, goofing and having fun. 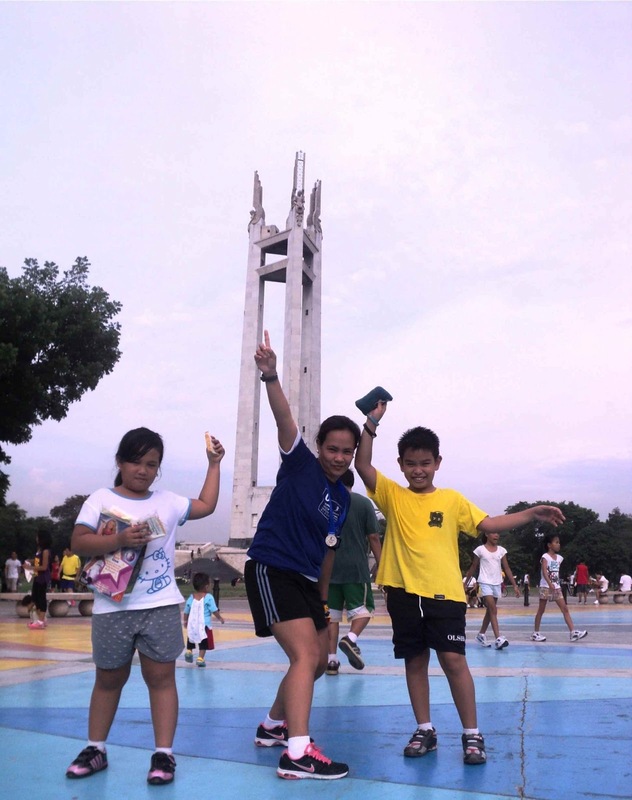 There were lots of activities going on atthe Circle, and they loved the Zumba. 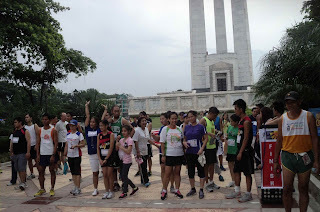 The booths were few but we were the priority as runners. 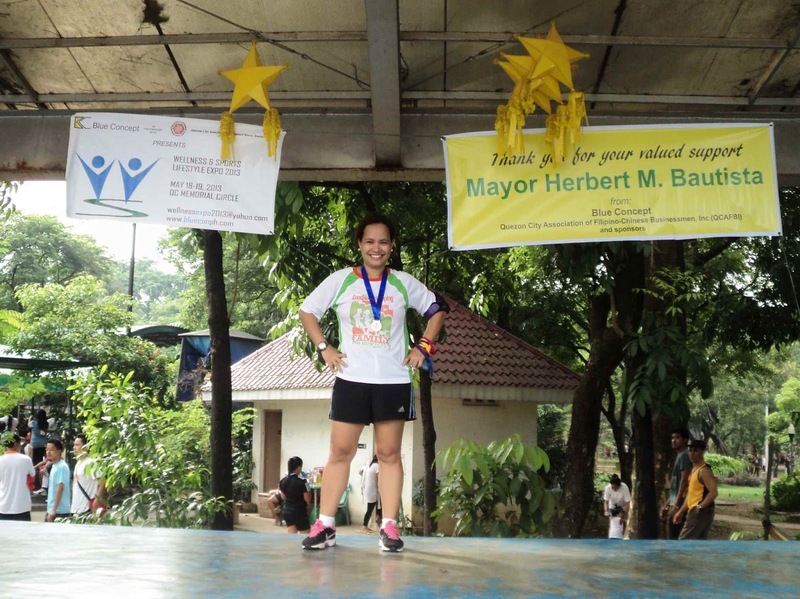 Here I was on stage, awarding myself, before the awarding began, hahaha.